In the age of Amazon Prime, 63% of all consumers now expect deliveries within 3 days or less. And if the current trend continues, those expectations will continue to rise. How is your business meeting your customers’ delivery expectations? Can your customers consistently expect fast delivery? Even if your company is performing well, there’s always room for improvement. With that in mind, check out these tips to ensure lightning quick deliveries every time. 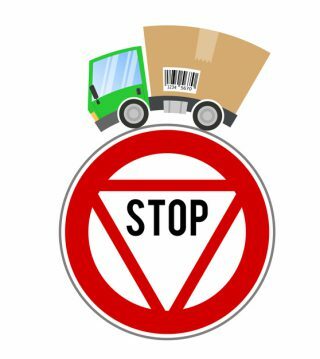 The first thing you need to do is to eliminate manual processes from your shipping process. Manual tasks are usually where errors and inefficiencies occur. Use shipping automation software like ShippingEasy and ShipStation to easily handle a number of tasks. Some of the best tasks to automate are manually filling out forms for shipping companies, creating bills, printing labels and choosing the right carrier. Automate all of these tasks and more to speed up shipping tasks and lower costs. Streamlining your order fulfillment system means minimizing the shipping time frame for order placement to when the order ships. Focus on two specific areas as you improve the efficiency of your system. First, look at the communication to the order packers. It is essential to notify order packers immediately after order placement. If your packers are also tasked with other duties, use automated SMS, two-way radio or phone calls to notify them. You can also streamline the packing process by having a clean and organized shipping area equipped with plenty of box sizes, packing materials and tape dispensers on hand to facilitate faster packing. It’s also important to assess your physical warehouse. Is it big enough to handle all your inventory and equipment? You may be able to use a forklift to strategically reorganize the space, making your most popular products the most accessible. Is better inventory control enough for your small business? Or do you need a larger warehouse? If you’ve outgrown your warehouse, you might consider relocating closer to your customers. Being closer will improve delivery times. Faster deliveries build customer loyalty which leads to more sales. Many shipments do not arrive on time (or at all) due to an address error. That’s why your company needs to be double checking your customers’ addresses. The post office and several delivery services rely on systemized databases. That means any deviation on the address, no matter how small, can slow your delivery time. You can eliminate most of these issues with an address validation program. These programs bring uniformity to your address labels so postal machines can read them. They can also print barcodes on your packaging. Another way these programs improve delivery speed is by checking your addresses against postal databases to make sure they are correct. In this way, address validation software eliminates problems and shipping delays before they occur. It makes sense to provide an estimated delivery date when a customer places an order. But surprisingly, many companies still give an estimated time frame, such as three to five days. That’s not acceptable in 2019. Not only should you give your customers an estimated delivery date, but you should also give them a time of day they can expect the delivery. Customers don’t want to come home after a long day only to find a delivery notice on their door. This means they won’t receive their delivery for at least one more day. Customers also dislike packages left on their doorstep, leaving them vulnerable to theft. Many customers prefer knowing a specific time window for the delivery of a package. The best way to deliver within specified time windows is to use local services that will drive packages to your customers. An alternative option is to drop ship your products. Instead of keeping your goods in house and incurring the inventory and overhead costs, you can have the manufacturer ship your goods directly to your customer. Shipping directly from the manufacturer saves you time and money. Drop shipping is also a great way to increase your cash flow. That’s because you don’t stock the product or pay for it until it’s sold which, by definition, is after you receive payment for it. You can also test new products easily and add new products to your line without having to order in large quantities and store them. You also don’t inherit the risk that the product may fail after you’ve already spent money on it. Before switching to drop shipping only, run several test shipments to make sure deliveries are faster and reliable. Using multiple warehouses to speed up your delivery process may be cost-prohibitive for most small businesses. But you can partner with a fulfillment center that has multiple locations in order to benefit from their capabilities. If you are shipping a package from a warehouse in San Diego to a customer in Boston, your package will travel through several zones. This will likely push back your delivery time expectation to five days. But if you have warehouses in San Diego and in New York City, you can speed up your delivery time considerably. Fulfill the order from your New York warehouse, and you should be able to deliver to Boston within two days. More than 100 million Amazon shoppers are Amazon Prime members and are enjoying fast delivery times with every purchase. 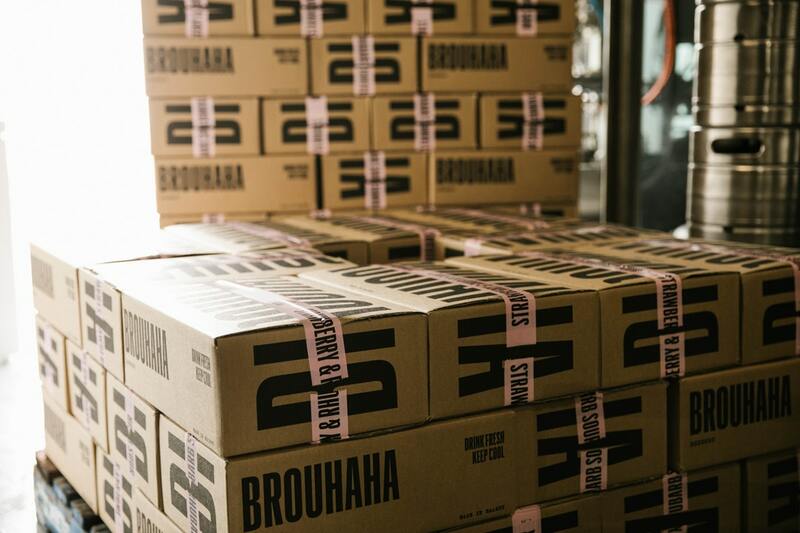 This is leading consumers to increase their expectations about delivery times. Shoppers may not have a problem with a three-day shipping window, but as Amazon and other companies improve their delivery times, expectations will continue to rise. So even if your company delivers packages promptly, it’s a good idea to stay ahead of the curve. Automate your system and streamline your shipping process. Use address validating software and assess your warehouse capability. Consider whether partnering with a fulfillment center or drop shipping products are viable options. Ultimately, we are leading to the point of instant gratification. Check out why your business needs same-day delivery now. Starting a business means being in “the know.” As a business owner, you must know all about policies, laws, regulations, and standards of operation. It takes time, effort, and a great deal of research to start a business because of this. If your company ships product, then you will also need to know about shipping restrictions. Shipping items can be an easy endeavor, but you have to know what is and isn’t okay to ship before sealing the box. National and private couriers both follow federal regulations when shipping packages. They flag packages that seem suspicious and/or not within shipping parameters. Postal workers measure proper weight, postage, and proper packaging, but this isn’t their only job. They also smell, feel, and inspect packages before they make it to the next round of shipping. It’s common to hear when sending off a package, “Are there are liquids, flammables, or hazardous materials?” But, do you know what those categories mean? Do you know what items you aren’t allowed to ship? Read on to learn what items your company should never ship. Ever. No one wants their businesses to get fined or to end up getting in trouble because of shipping restriction violations. Here’s an exhaustive list of shipping restrictions that help you to avoid any confusion, fines, or trouble with the law. Any material or items being shipping must not have a foul or strong odor. Strong odors indicate that the items are not suitable for mailing. Odors signify that the package may contain hazardous, flammable, or generally toxic materials. If you think that an item you ship may have an odor, but it’s not toxic or hazardous, ask the mailing office if you are able to ship it. Also, be aware that boxes with leaking items will also not ship, and will most likely get discarded by the shipping service. If you ship non-toxic liquids make sure to properly package the item so it does not leak or break. Safety for postal workers is a concern for national and private couriers. Shipping restrictions help to keep postal workers safe as well as the general public. For this reason, you aren’t allowed to ship hazardous items. The U.S. Department of Transportation identifies items considered hazardous and pose a significant health risk. To ship alcohol, such as whiskey, you must have a license to do so. In addition to needing a license in most states, many shipping companies require that an adult over 21 signs for the package. The package containing the alcohol also must be sufficient. The shipping materials need to be able to contain liquid if it breaks. Make sure to package it well enough to not break in the first place. Also, if you don’t have a license to ship large quantities of alcohol then expect stick to only a couple of bottles per package. It’s also worth knowing, whether a postal company has a license to ship alcohol in the first place. Some courier companies opt of getting licenses and instead prohibit the item. Unless you have a license to ship a firearm, then it is strictly prohibited to ship one. Ammunition is also prohibited without a license. You aren’t allowed to ship most live animals. Some companies do allow people to ship certain live animals such as lizards, geckos, fish, and bees. However, regulations usually prohibit the shipping of any other type of animal species such as mammals. Ask your courier company in advance what live animals you are and aren’t allowed to ship. Also, make sure to follow their policies for shipping these live animals thoroughly. Most companies prohibit shipping of bank bills, notes, and currency. This includes coin and paper money as well. Endorsed stocks, bonds, and cash letters also fall under this restriction category. You cannot ship human or animal remains of any kind. Some companies do allow you to ship cremains as long as you follow special regulations. If shipping cremated remains to another country, the other country must also allow it. Shipping corpses, organs, or disinterred remains is strictly prohibited. You cannot ship marijuana or controlled substances, even for medicinal purposes. Shipping controlled substances require proper licensing from the Drug Enforcement Agency and other organizations. If your company is not a pharmaceutical company, then it’s safe to say that you are not allowed to ship these items. For example, watches costing more than $500 and expensive art pieces. Irreplaceable antiques also fall under this category. Speak with the courier company to see what their policies are for shipping expensive items. Some companies offer insurance and signature confirmation at an extra charge. The concern for most companies when shipping these items is the potential liability and value loss that could result. Ship these items at your own risk and speak with your courier in advance. Fireworks are strictly prohibited because of their flammability. For companies interested in selling fireworks, know that ground shipping is your sole method of shipment. You must also have a license to ship fireworks and follow all shipping procedures. Lithium batteries are susceptible to combustion if improperly packaged. As such, you cannot ship lithium batteries not already installed in a device and with higher watt-hours available. Consult with the shipping service to learn what their specific restrictions are regarding wattage hours and lithium batteries. You cannot domestically or internationally ship cigarettes and tobacco. You can, however, ship cigars. Speak with the courier company to see if they have the proper licensing to ship these items. Want to Know More About Shipping Restrictions? When researching shipping restrictions, start with information available within your industry. Know, too, that small businesses won’t qualify to ship items such as fireworks without proper licensing, permits, and procedures. Always consult with courier companies before shipping any questionable goods. They will be able to better help you understand how, if, and when you can ship items through their company. Visit our website to learn more about our shipping services. A great courier service can do wonders for your business. However, an unreliable one can raise your stress levels and can give your business a lot of unnecessary problems and headaches. Luckily, there are a few things you can look for before you choose a courier to know you’re making the right decision. Below is our list of the top 7 signs of a professional courier service that you need to be looking for. A great courier service will be very available at all times and will be easy to communicate with and get in contact with. Your business likely has its own unique needs and you may require delivery assistance for a high volume of packages. If so, you need to find out what their availability is and what services they will offer and when. You need to discuss your monthly needs with a courier beforehand to make sure they can meet your requirements. Before choosing a courier to work with, make sure that they can handle your needs and will be available when and how much you need them. You also need to look for a courier that offers fair prices and can work within your budget. Make sure to shop around a bit and make sure you’re not paying more than you have to. While you shouldn’t pay exorbitant prices you also probably shouldn’t go for the cheapest option either. Not every courier has all of the best services that your business may need for a successful delivery. A great courier service will offer fair prices but will also have all of the services you need. While they may charge more than some budget couriers, they will also have the right features and services. It’s important to find out about a courier’s reputation and to see what their track record is. Usually, great couriers will have proven themselves time and time again as being reliable and they will work hard to meet the needs of a business. You may be able to find out some things about their track record by checking online reviews on sites such as Google, Facebook, and Yelp. Additionally, you may also want to check out the testimonials and ask if you can speak to references and other customers about the courier. A great courier will understand that the success of your business, along with the other businesses they serve, are essential for their own success. Because of this, they’ll prioritize great service and they’ll offer you a great customer experience as a result. It can be difficult knowing how a courier will be to work with before you hire them. However, by checking out their track record you should be able to learn a great deal about what to expect. Also, take note of how they speak with you and present themselves when you first get in contact with them. It may give you a great idea of how they’ll be once you have an ongoing working relationship as well. It’s important not to choose a courier service who doesn’t offer a guarantee for their work. They should provide you protection should things go wrong with a delivery. It’s important that your company is fully protected from liability, so make sure that they have insurance before getting started. They should have insurance available for all packages you send and if they fail to deliver or if a package gets damaged in transit you need to be covered. Check beforehand what insurance and guarantees they offer for their work. If they don’t offer any kind of security for your packages and problems that may happen, you may want to keep looking for a different courier instead. Every business has different needs, so it’s important to think about yours carefully before you choose a courier service to work with. Not every courier can do everything. A great courier, however, will have many services that meet your specific needs. Depending on your business and what you will need to have delivered, it might be important to look for a courier that has temperature control options. Warehousing options may also be useful. It’s also important to look for freight options if needed. Take the time to find out if they have any priority or express delivery options that you can use in a pinch. Finally, you also need to know their location of operation. Depending on your needs, you may want to check if they operate only locally, nationally, or globally. In addition to special services, a great courier will also be up to date with the latest technology and they’ll use it for their business operations. Tracking options are essential and can allow you to always know where your package stands and how any given delivery is going. At the very least you should expect to get an email notification once a package has been delivered successfully. A great courier will make use of other types of technology as well to improve their processes and ensure a successful delivery. If you get the sense that their technology is still stuck in the dark ages, you may want to keep looking to find a more modern courier who has caught up with the times. If you’re looking for a professional courier service, it’s important to look for the above signs first. If you do, you’ll have much better chance at choosing a courier that meets your every need. Ready to hire a courier service in New York and surrounding areas? Contact us today to learn more about what we can do for you.